UH graduate students wrestle with the desert heat, memory and geo-political landscapes in new works on view in Third Space Gallery. 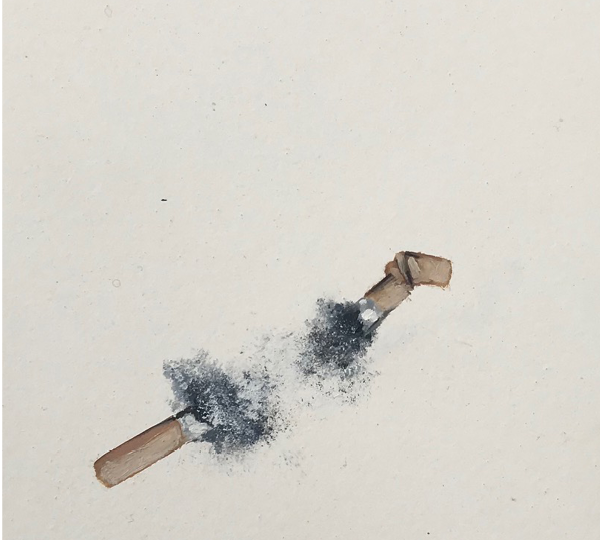 Created during a two-week residency in Marfa, Texas by students in the Desert Unit for Speculative Territories (DUST) program, the work on display encourages viewers to reconsider notions and ideas of time, space and geography. 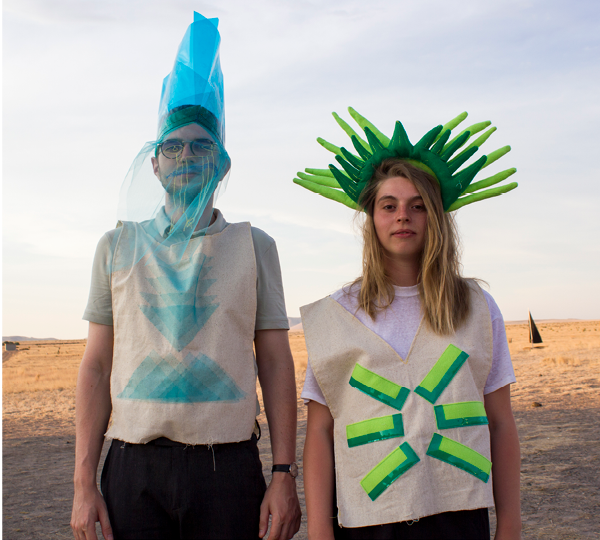 “From the beginning I understood Marfa as a border town. However, [it’s] much more complex than that,” says Saúl Hernandez Vargas. During the residency, he created the large-scale piece “There is nothing for us in the thickness/No queda nada para nosotros en la espesura” as an exploration of the concept of borders, reduction of scale and drawing. “I worked as if I was fighting with the toughness of the desert, the heat of the desert, the violence of it,” he says. The piece was inspired by the town’s cemetery, which is divided by a fence between American and Mexican-American sides, a physical representation of the tension he feels exists between the town’s history and the process of gentrification. The intensity of the landscape, itself, plays a large role in several of the works. “Nothing beats walking around the desert and being confronted by a two-headed yucca plant with flowers at your eye level,” says Claire Elestwani. 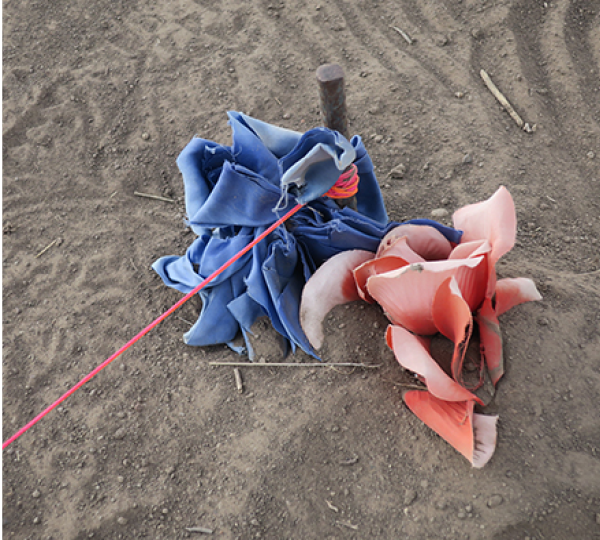 Her encounter with the plant, paired with the dizzying dry heat and rolling expanses of the Chihuahuan Desert, inspired her site-specific installation “Desert Game.” The performance piece, staged as a game between opposing Land and Water teams, examined the relationships humans have with their surroundings. Demolished car parts found on the side of the road inspired Madison Luetge’s installation “The Rest is Rust and Stardust (the Cars and the Bars).” After filling the folds in the metal with resin and crushed beer bottles, she installed the sculpture in thick brush. “The remote location of Marfa — and having my professors available for immediate feedback — was significant in shaping the story,” adds Reema Yeager, whose multidisciplinary work “All Roads Lead to Home” chronicled an introspective journey through memory and healing. The unfamiliar environment provided her with freedom to dive deep into her psyche and explore concepts she’d hesitated to tap into before. 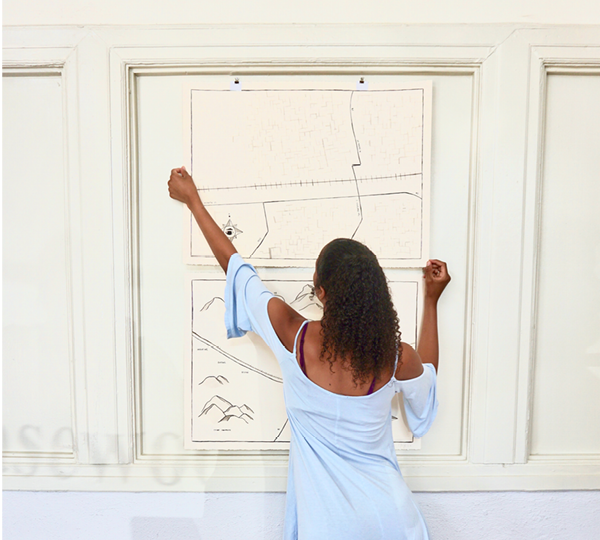 “The work I created sits on the crossroads of people and space, fiction and non-fiction, feminism and human rights to tell stories that I wish were being told.” In “All Roads Lead to Home,” they are. The exhibition will be on view through Saturday, September 8 and features work by Claire Amiot, Francois Briand, Melissa Cascade, Leticia Contreras, Claire Elestwani, Saúl Hernandez Vargas, Maxime Juin, Madison Luetge, Alice Martin, Amira Maruf, Simon Rolland and Reema Yeager.